Yes, hoomin, that's true, we do offer garden inspections. We also perform tastings of kale, parsley and raspberries. Would you like us to come over today and help you out with that? 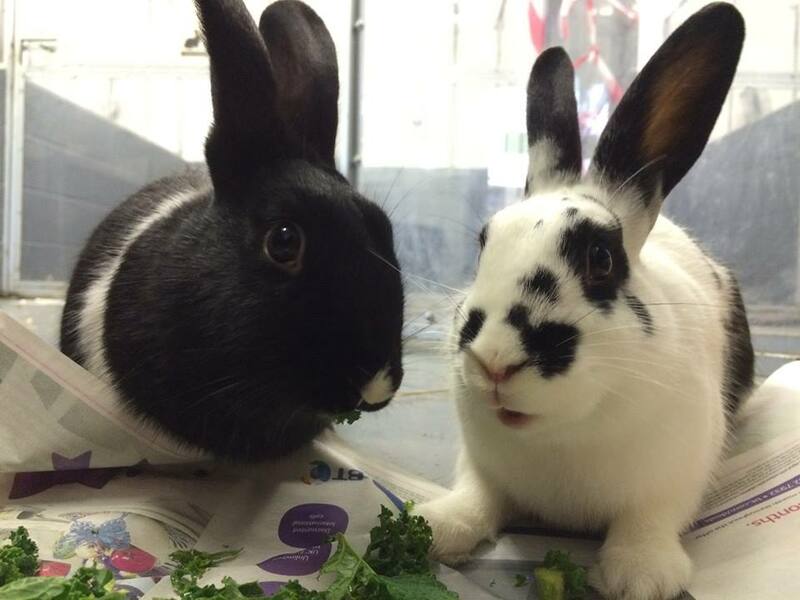 PS: Nibbles (male) and Patch (female) are both looking for forever home. They are beautiful AND eager to be of assistance. Just imagine bunny helpers in the garden. Such sweet little dears, and any one familiar with bunnies is going to really appreciate a lovely lady who will patch after you know who nibbles. They are a veritable household staff. So you all over there in Manchester, "Make it Snappeh!" Hi, Fleetie, it's good to hear from you. These two small, young bunnies are very active and curious and lots of fun! Look at those adorable bunny faces! They need and deserve a loving forever home! If I lived on the other side of the Atlantic, I would sooo be adopting these two cuties, and I would plant an extensive, tasty garden just so they could inspect it! These rabbits are absolutely gorgeous and any Brits should jump at the chance to have them. Excellent photography as always, Fleetie.